Unit #12 Tylers Garden Condominiums. 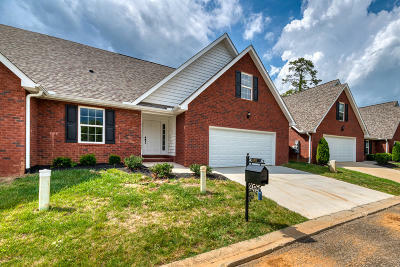 *New Construction* Will be completed by May 15th * Upscale home with spacious bonus room over Garage. End Unit. Convenient location off of Emory Rd. Only 1 mile from Maynardville Hwy. Upgrades available, choose your colors now. Contact Agent for details. Efficient and Open Floor Plan. Upscale finishes include stainless steel appliances, granite & Hardwoods, Hardwood floors in Entry Foyer, Living Room, & kitchen. Tile in baths & laundry room. Master bedroom features hardwood floors & trey ceiling. Outdoor space includes beautiful covered patio area. Extra Storage. Photos are of completed Units similar in nature & May Contain Upgrades. Contact Agent for details.